This article aims to discuss ways to unformat hard drive. Hard drive is the most important part that holds user’s data. Data stored on hard drive includes study data, family pictures, videos, collected music, working documents, entertainment file, various programs, operating system, etc. Have you ever undergone such situations: sometimes you want to reinstall operating system to improve performance and speed, but you format the entire hard drive by accident? Hard drive formatting erases everything, after which all files and partitions are invisible. Thus, the accidental formatting of hard drive is quite frustrating if you have no idea of unformatting hard drive and recovering files from formatted hard drive. What should you do when hard drive gets formatted? What should we do in order to unformat hard drive and achieve successful formatted hard drive recovery? First, stop using the hard drive right away for the sake of avoiding file overwrite, for damage caused by file overwrite is irreversible. Put simply, lost files can never be recovered if they are overwritten. 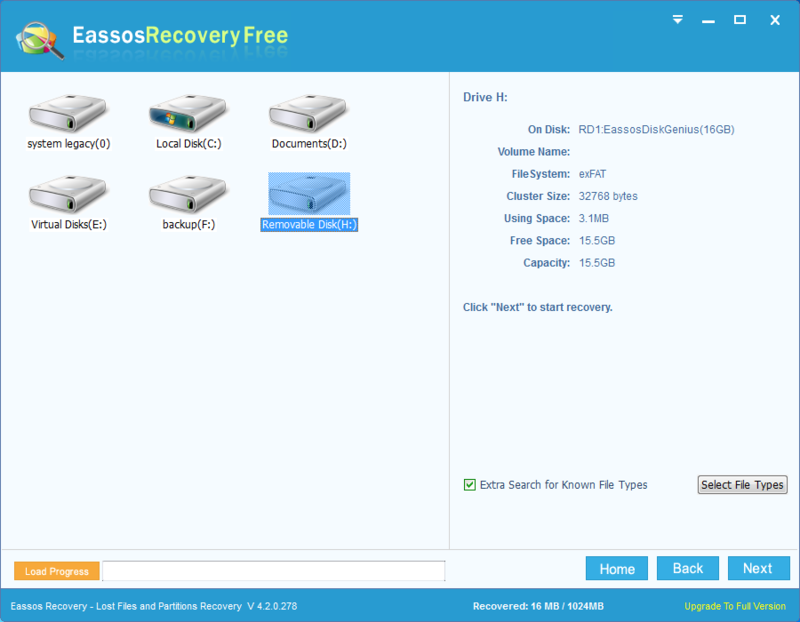 Second, choose Eassos Recovery to start formatted hard drive recovery. Generally speaking, most users have a misunderstanding of hard drive formatting and takes that formatting wipes data totally. In fact, formatting deletes pointers (file information or partition table) only which records locations of lost files and folders and marks hard drive space as free so that it is ready for storing new data. Therefore, lost files still remain on the drive as long as they are not overwritten, and lost data can be recovered by unformat software. 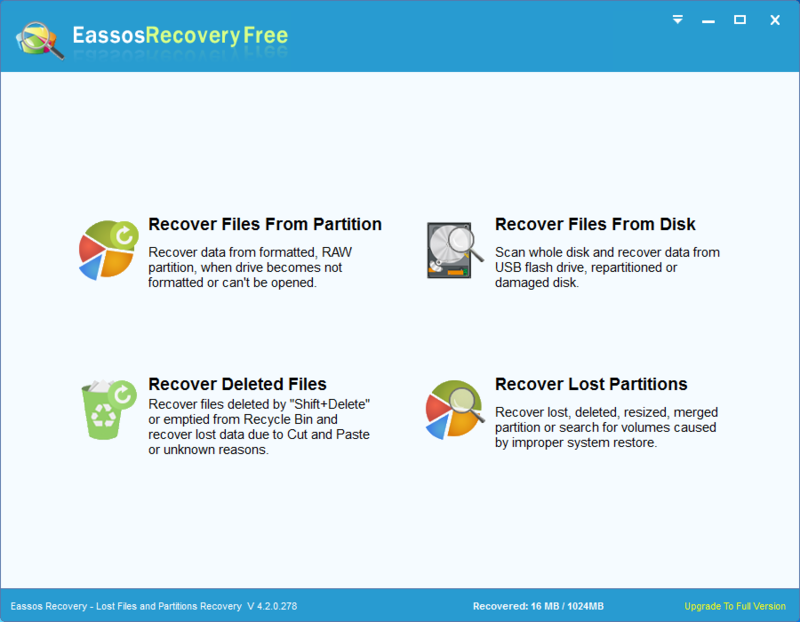 Eassos Recovery Free is easy-to-use and powerful hard drive data recovery software for formatted hard drive recovery. Just a few clicks of mouse button, it can get back formatted or deleted videos, photos, documents, music and other types of files from hard drive, SSD, external hard drive, USB flash drive, memory card, cell phone, digital camera, virtual disk, etc. 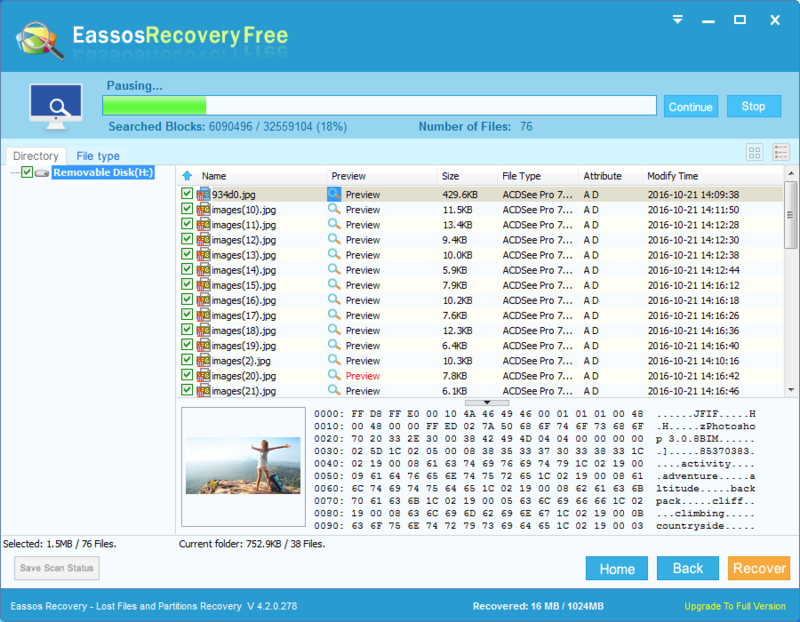 Install and start Eassos Recovery Free and you’ll get its main interface. Select the recovery mode “Recover Files From Disk”. Note: Do NOT install the program to the hard drive that needs recovering files. Click the icon of the hard drive that waits for formatted recovery and then click the button “Next” to start the file searching process. After file searching completes, you can select lost files and copy them to a safe place. The target destination shouldn’t be the drive that is undergoing formatted recovery. This entry was posted in Data Recovery and tagged hard drive recovery software, unformat hard drive by EASSOS. Bookmark the permalink.